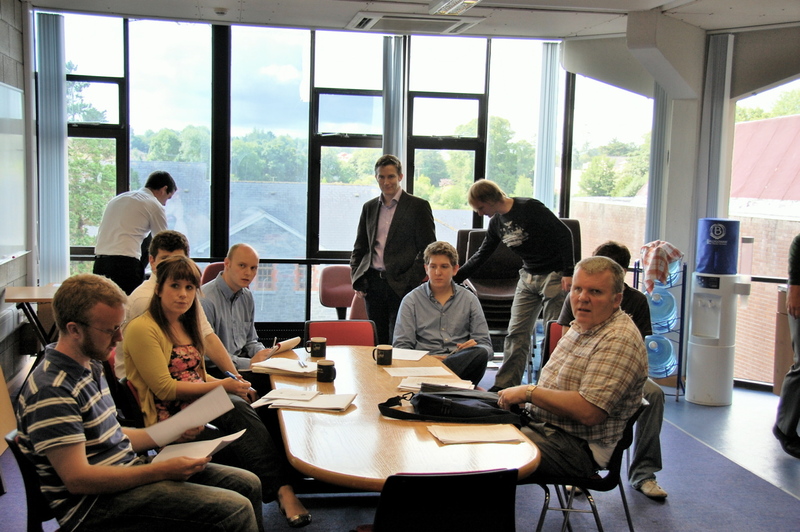 MACSI hosted the 70th European Study Group with Industry from 28th June - 3rd July 2009 at the University of Limerick. The Study Group was well attended, with people travelling from Ireland, the UK and Europe and even as far as America and Hong Kong. Eight problems were presented to the group at the beginning of the week, covering a range of topics, details of which can be found on the ESGI 70 website. MACSI would like to thank the Industrial partners, Analog Devices, Bord Gáis, Diageo, Erin Energy and Landtech Soils Ltd. for taking part in the study group and the Science Foundation Ireland for funding it. 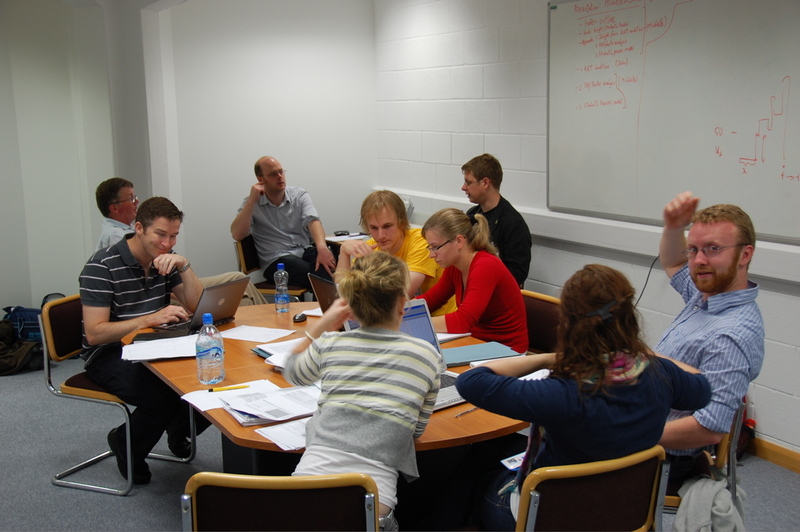 MACSI organised the 62nd European Study Group with Industry from 21st–25th January 2008. For more information please see the ESGI 62 website. Ron Elsdon, St. Bartholomew's Church, Belfast. Creationism is alive and well ... and living in Nor'n Ir'n'. 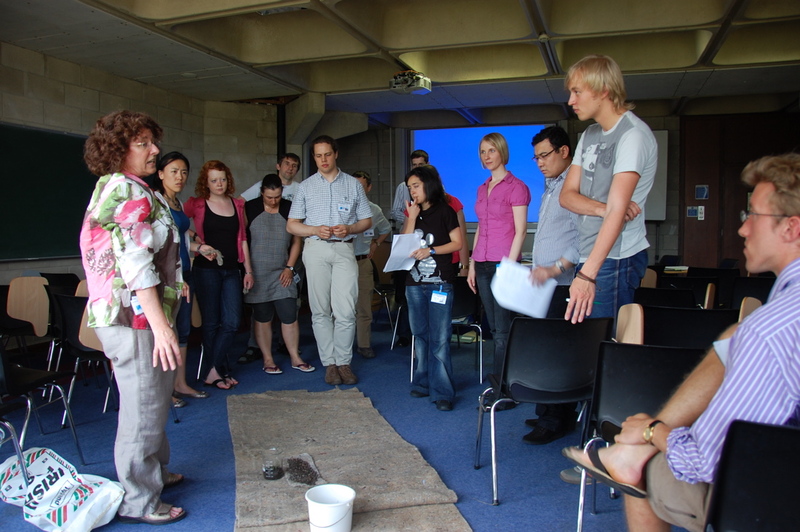 17th–22nd August 2008. International symposium on dynamics in glaciology. University of Limerick. To optimise or not to optimise: an engineer's perspective. Alicia Kim, Bath UK. HiWinds: high resolution forecasts for wind energy applications. Conor Sweeney, UCD. Quantum corrected drift-diffusion models for numerical simulation of nanoscale electronic devices. Carlo de Falco, DCU. Decomposing sound in the time domain using non-negative quadratic programming.Conor Houghton, TCD. Language, mathematics learning and gaeilgeori: a study of educational transitions in Irish education. Marie Ni Riordain, UL. University College Cork, 31st July 2007. 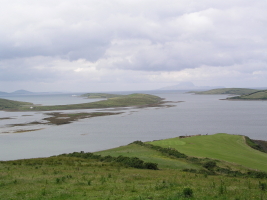 A preliminary study on the optimal formation of an array of wave power devices. Gareth Thomas, UCC. Does bottom friction affect freak waves? Slana Voronovich, UCC. Quantum dot semiconductor lasers. Guillaume Huyet, The Tyndall Institute. Differential games between manufacturer, retailer and bank. Ellina Grigorieva, Texas Women's University. 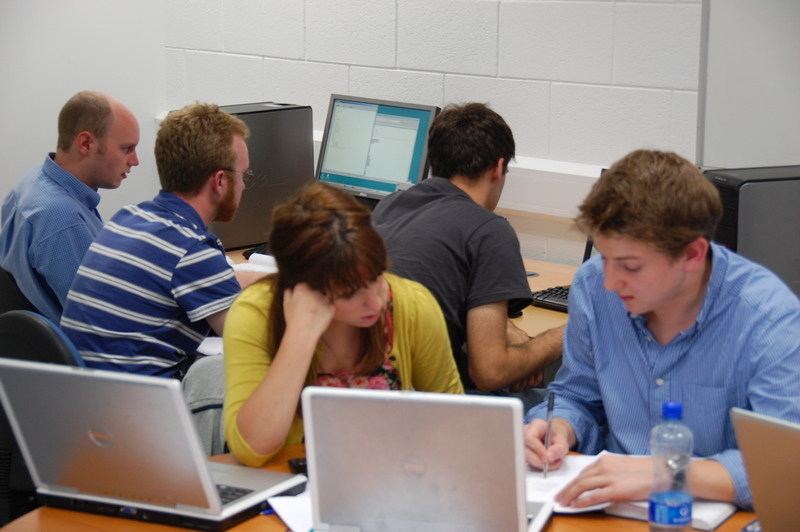 On 15th July 2009, MACSI organised a workshop on financial mathematics at the University of Limerick. This was attended by James McEvoy (Principal FX Dealer, Structured Derivatives Desk, Bank of Ireland Global Markets) and by research and academic staff from the University of Limerick and University College Cork. 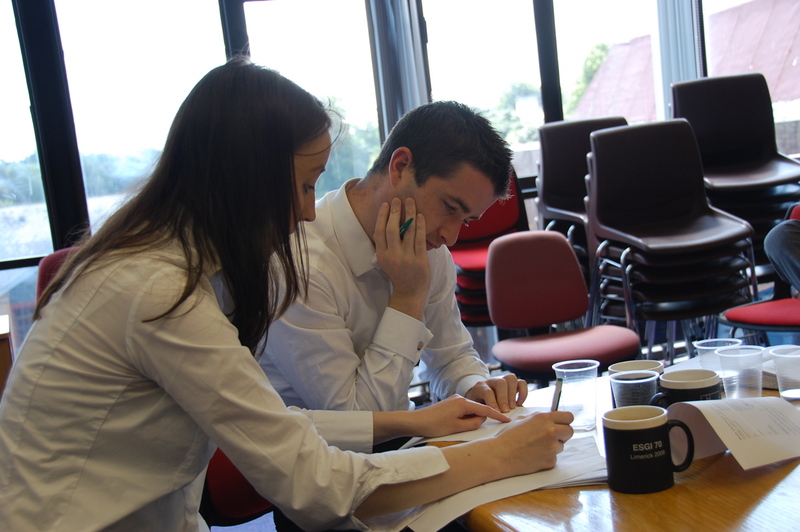 The workshop focused on developing tools to value a complex option introduced by the Bank of Ireland. In the morning presentations on the structure of the option were given by Michelle Carey and James McEvoy, while in the afternoon significant progress towards developing a mathematical model and implementing it in code was made. For more information please contact the workshop organiser Michelle Carey. 23rd–28th June 2008. 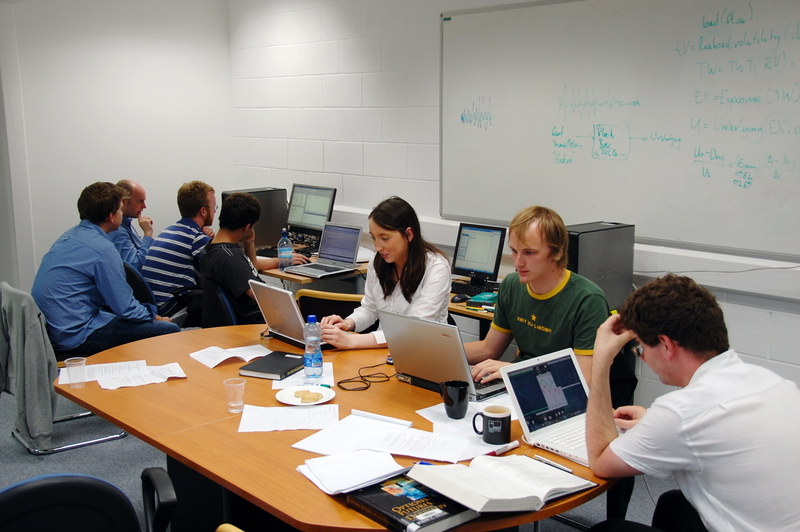 Mathematical Modelling Summer School. Dublin Institute of Technology. 11th December 2007. Introduction to perturbation methods. A one day course at the University of Limerick given by Prof. Stephen O'Brien. 8–9th February 2007. 6th Annual Workshop on Numerical Methods for Problems with Layer Phenomena. 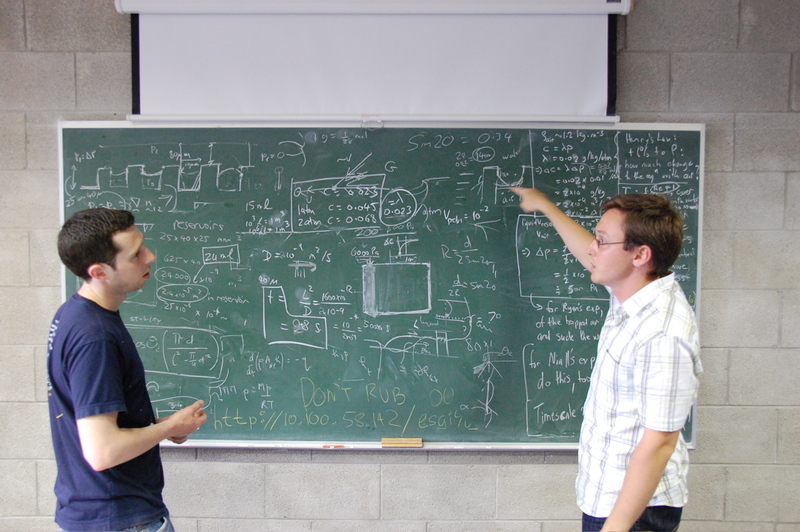 One day graduate course: Mathematical Modelling in the Applied Sciences. 21st January 2009, UL. Professor Andrew Fowler, recently appointed Stokes Professor of Industrial and Applied Mathematics at the University of Limerick in association with MACSI, delivered his inaugural lecture on the 24th February 2009. His lecture was preceded by an afternoon of talks given by collaborators of Professor Fowler from around the world. Professor Fowler's lecture "Ten Hard Problems in Applied Mathematics" provided an insightful and entertaining overview of some of the academic challenges that he has faced during his career to date. Topics ranged from Chaos theory to Ice caps on Mars, drumlin formation and the mathematical modelling of leukaemia, and culminated in a live performance on the acoustic guitar! Multicellular model mediated by intercellular and extracellular communications. 3rd August 2007. Mathematical modelling of polymer electrolyte fuel cells. 27th July 2007. Dr Michael Vynnycky, Royal Institute of Technology, Stockholm. Computational simulations of atrial fibrillation. 27th July. Dr Sanjay Kharche, University of Manchester, UK. Numerics and optimal control of nonlinear conductive-radiative heat transfer. 20th July, UL. Dr Peter Philip, Weierstass Insitute for Applied Analysis and Stochastics, Berlin. Mathematical modelling of cancer treatment. 6th July 2007. Prof Graeme Wake, Massey University, New Zealand. Metastability in Markovian systems. 28th June 2007, UCC. Dr Wilhelm Huisinga, NUI Maynooth. 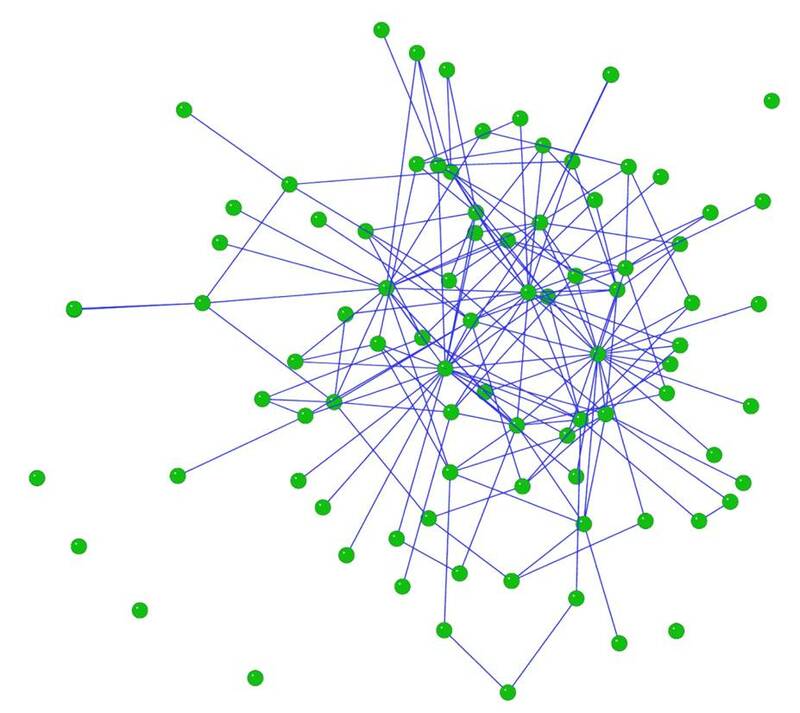 Modelling the immune system using probabilistic concepts. 7th June 2007, UCC. Dr Phil Hodgkin, The Walter and Eliza Hall Institute for Medical Research, Australia. Mathematics education in the Netherlands. 5th June 2007, UL. Prof Frans Keune. Radboud University, The Netherlands.